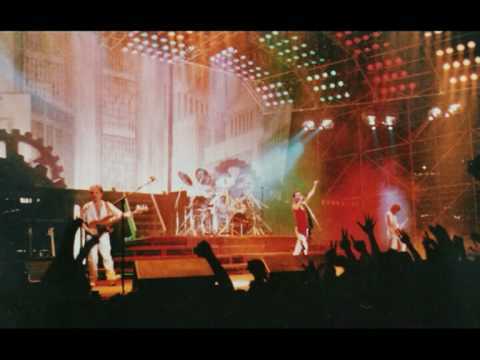 QueenOnline Message Board • View topic - The Works tour 1984 - Live release ? 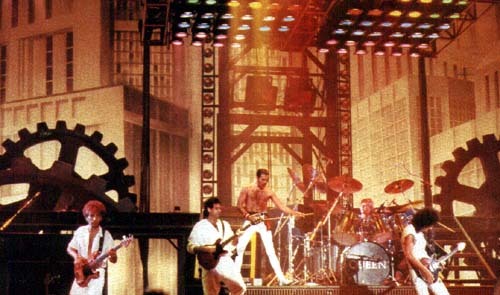 The Works tour 1984 - Live release ? I have often wondered why they haven't got any live releases from 1984 ? They had the most spectacular lighting rig and stage ever, even a big video screen in the background. It should have been filmed properly. At least one of the shows! Re: The Works tour 1984 - Live release ? I don’t think any of the 1984 gigs were filmed? Rio and Tokyo from 85, though...not the best performances, but I would love to see it mastered and mixed to their full potential. The 85 Rio gig, sadly very static and poor quality filming. their most expensive and largest lighting rig ever. They sort of knew this might not last forever. And they needed the ulitmate live recording as well, and then not one filmed concert ? There's a few bootleg vids about. I agree it's a magnificent stage setup, and they had a great, mixed setlist too, reviving the likes of KYA and Liar for the last time along with some Hot Space hangovers and the last outings for a lot of Freddie's piano based stuff (which I suspect were done way with as Freddie 'ponced' about on ever bigger stages). There's some weird mis steps too, I'm sure the 1984 version of AOBTD has a now dreadfully dated electric drum snare sound. 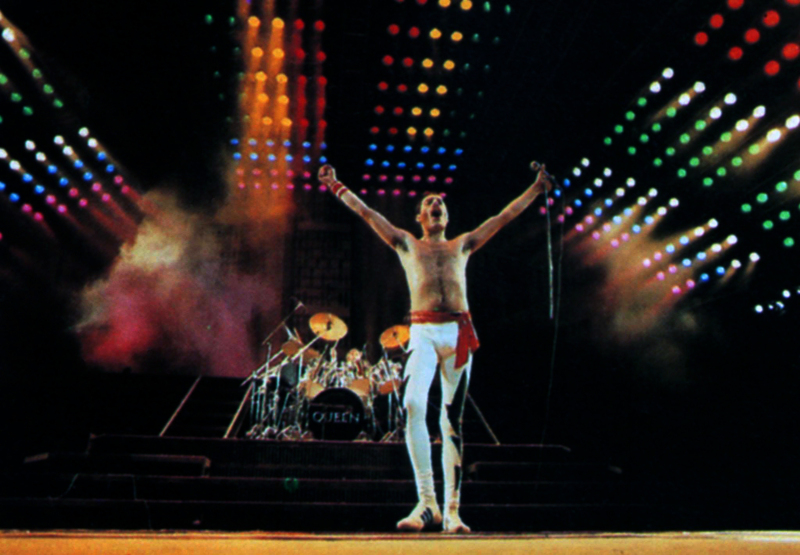 I think Freddie's voice was also showing more wear and tear than before. Still, I at least wish they would/could issue the full Rio set with remixed sound etc. I recommend you to listen carefully to this relatively newly (2015) shared soundboard recording of the Sun City concert from 1984. They say it is the best version of AOBTD. Listen especially to the last part of the song. Some unusual vocal improvisation. Freddie is in top form here. Note: Read the information/details about the uploaded show on YouTube. The piano intro for BohRhap is also unique. TheHero wrote: I recommend you to listen carefully to this relatively newly (2015) shared soundboard recording of the Sun City concert from 1984. And here's the main problem with 1984. Yes, as far as we know it wasn't filmed properly. Which is a huge shame as the set with the cogs looked fantastic, and was gone by Rio. But the biggest problem was the best shows were all at Sun City. All the boots from the Euro tour showed Fred was stretched fairly early in the tour. I guess they had a nice rest before Sun City and were there long enough to get into a groove. Anyway, Sun City shows all sound amazing. And will most likely never be released. make sure I had the best film crew and best quality film equipment, no matter the cost. This is just bad planning. There is so much they could have done better. For instance they could have brought a camera man with them, filming parts of the first show in Stockholm and some of the others in Europe, to be part of a mini documentary on their final tour. They must have had a feeling it might be their last tour, so they had all reasons to secure memories for the future.. They must regret now. TheHero wrote: I have often wondered why they haven't got any live releases from 1984 ? Don't know where you got that from, there was no video in The Works shows! Yes, as far as we know it wasn't filmed properly. Which is a huge shame as the set with the cogs looked fantastic, and was gone by Rio. 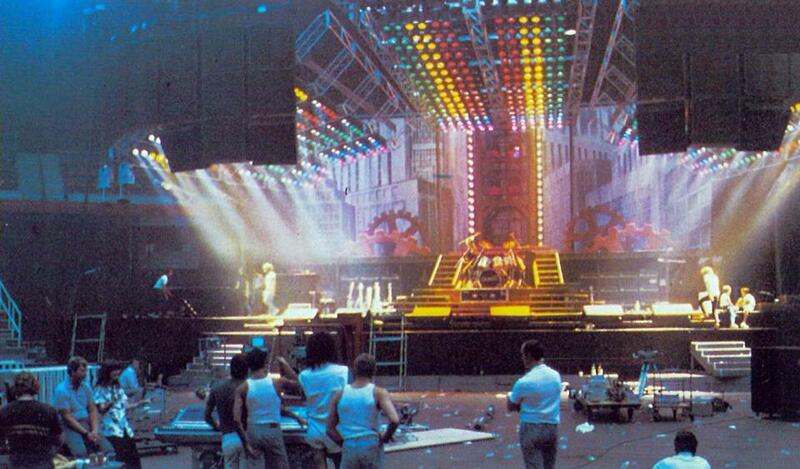 . . . .
Not true, the full stage set was used in Rio with the cogs. The parts that weren't used were the vertical ACL and Mofay tower. It's possible that one of the Australian dates may have been filmed, bits of footage were shown on Australian TV. The footage from Japan features a scaled down version of the lighting rig. It's missing half the centre section. I guess it's possible that the stage was just very very deep, but this is my overwhelming memory of Rio. Maybe I need to watch it again. The cogs are there, rotating and everything.